For us racer-types, getting your hands in the drops comfortably without hitting our forearms is a bit of a problem with a lot of bars – especially when you are really pulling on them in a sprint. Some guys (including old favorite Marcel Wust) would run track bend bars on road bikes to make that position more comfortable. 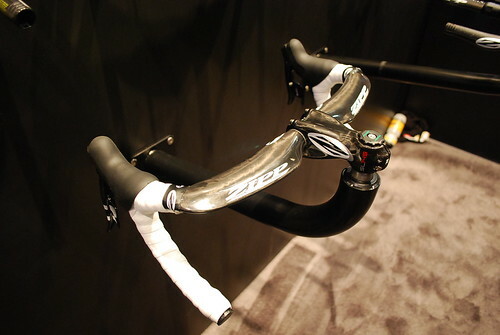 Zipp looks like they have an offering that solves for that without sacrificing the “tops” position. Looks pretty cool. Uploaded by Competitive Cyclist Photos | more from the Bike Hugger Photostream.